With the hope of bringing explorers to nearby asteroids, Mars and its moons, and to destinations even farther across our solar system, NASA’s Space Launch System passed several major agency reviews and is now moving to its preliminary design phase. The rocket that will launch humans farther into space than ever before passed a major NASA review Wednesday. 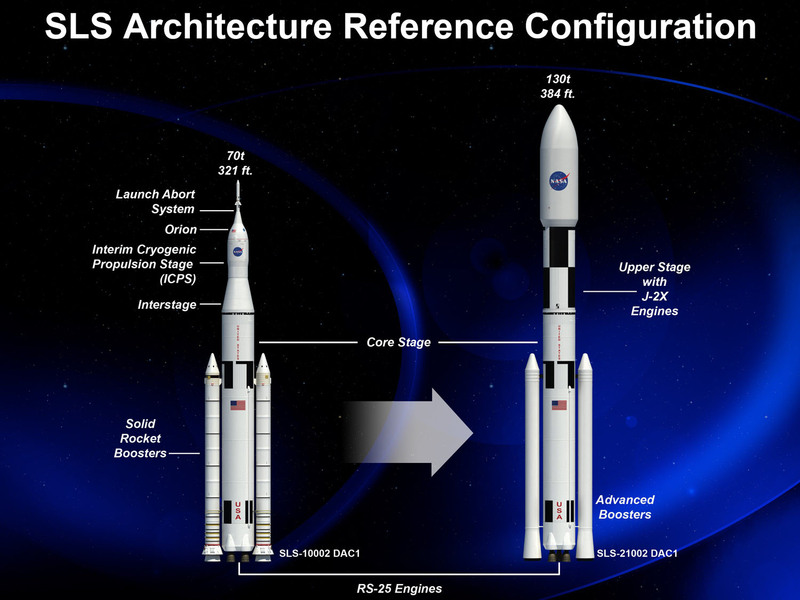 The Space Launch System (SLS) Program completed a combined System Requirements Review and System Definition Review, which set requirements of the overall launch vehicle system. 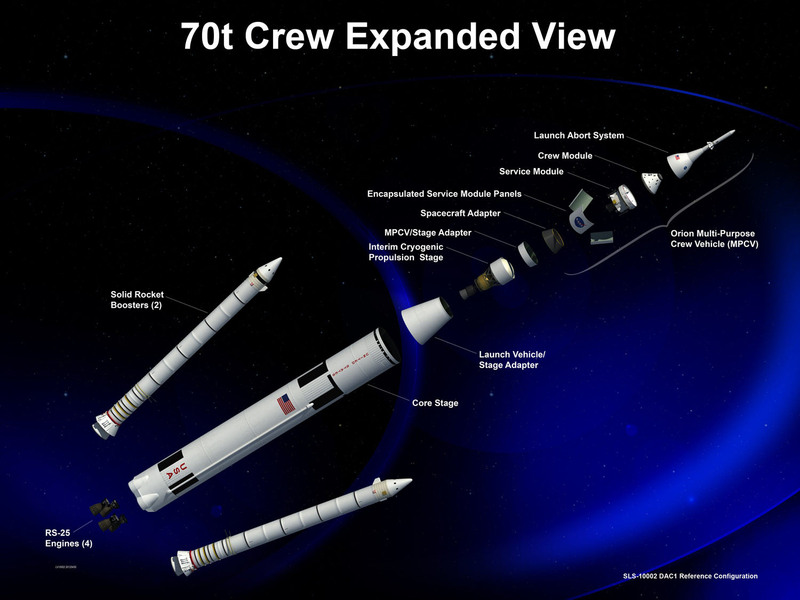 SLS now moves ahead to its preliminary design phase. The SLS will launch NASA’s Orion spacecraft and other payloads, and provide an entirely new capability for human exploration beyond low Earth orbit. These NASA reviews set technical, performance, cost and schedule requirements to provide on-time development of the heavy-lift rocket. As part of the process, an independent review board comprised of technical experts from across NASA evaluated SLS Program documents describing vehicle specifications, budget and schedule. The board confirmed SLS is ready to move from concept development to preliminary design. The reviews also confirmed the SLS system architecture and integration with the Orion spacecraft, managed by NASA’s Johnson Space Center in Houston, and the Ground Systems Development and Operations Program, which manage the operations and launch facilities at NASA’s Kennedy Space Center in Florida. SLS reached this major milestone less than 10 months after the program’s inception. The combination of the two assessments represents a fundamentally different way of conducting NASA program reviews. The SLS team is streamlining processes to provide the nation with a safe, affordable and sustainable heavy-lift launch vehicle capability. The next major program milestone is preliminary design review, targeted for late next year. The first test flight of NASA’s Space Launch System, which will feature a configuration for a 70-metric-ton (77-ton) lift capacity, is scheduled for 2017. 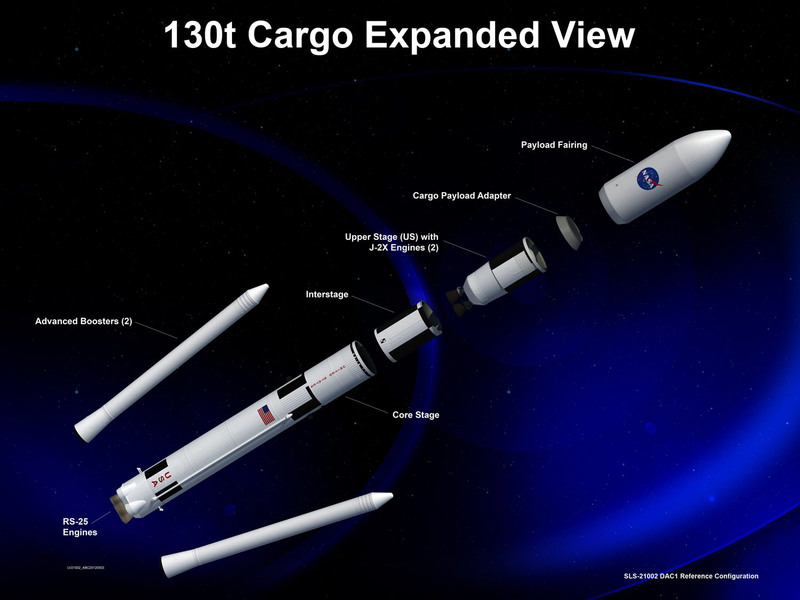 As SLS evolves, a three-stage launch vehicle configuration will provide a lift capability of 130 metric tons (143 tons) to enable missions beyond low Earth orbit and support deep space exploration. NASA’s Marshall Space Flight Center in Huntsville, Ala., manages the SLS program. Across the country NASA and its industry partners continue to make progress on SLS hardware that will be integrated into the final design. The RS-25 core stage and J-2X upper-stage rocket engine in development by Pratt & Whitney Rocketdyne of Canoga Park, Calif., for the future two-stage SLS, will be tested at NASA’s Stennis Space Center in Mississippi. The prime contractor for the five-segment solid rocket boosters, ATK of Brigham City, Utah, has begun processing its first SLS boosters in preparation for an initial qualification test next year, ahead of their use for the first two exploration missions. The Boeing Co. in Huntsville is designing the SLS core stage, to be built at NASA’s Michoud Assembly Facility in New Orleans and tested at Stennis before being shipped to Kennedy. Be the first to comment on "NASA’s Space Launch System Passes Review, Moving to Preliminary Design Phase"